When you are building links, or creating affiliate links to products or even including long links in emails it can be beneficial to shorten them by using a Tiny or Short URL service. 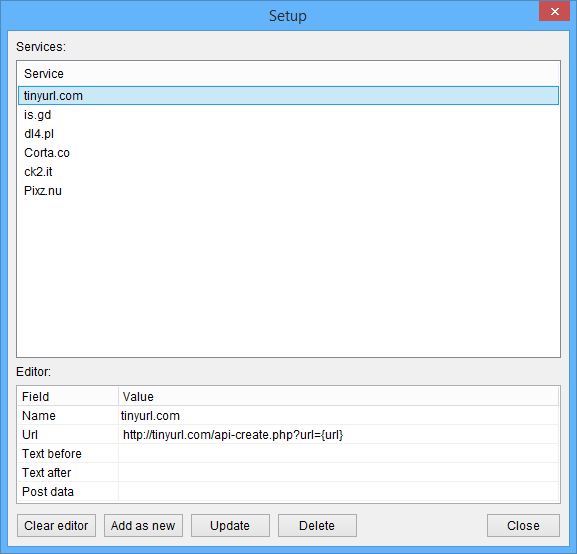 One of the most popular and oldest services is TinyURL.com which this addon supports, but there’s also hundreds of other similar services available online. So our Mass URL Shortener addon comes includes with several popular services, but you can also add new services or update existing services. Now you can create a diverse list of short or cloaked links with the click of a button without having to visit these services manually and create the short URL’s one by one. Trainable platforms give you the ability to configure any number of short or tiny URL services you need. You have the option to customize the URL and site used, the post data and the before and after markers in the short URL website to indicate where the short URL is displayed for extraction. If one site goes offline or changes the way it works, no problems you are free to replace it with another service or make changes to the existing services. 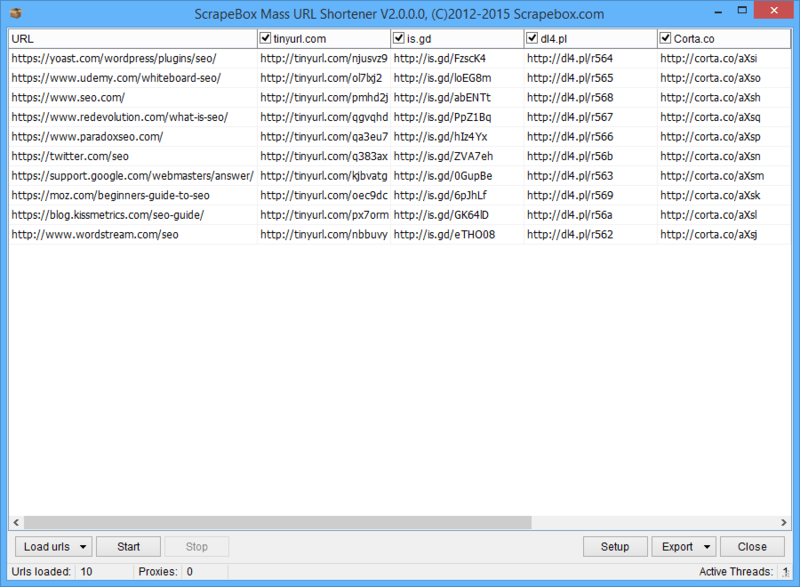 The Bulk URL Shortener addon comes already configured with a number of popular short URL services. Export your short URL’s as either a plain text file or as an .xlsx spreadsheet for use in Excel. This makes it easy to manage all your tiny URL’s for your projects. We have seen stand alone tools like this that sell for as much as what is costs to buy ScrapeBox, but you can get this addon along with over 30 others plus ScrapeBox all for an affordable one time payment. View our video tutorial showing the Mass URL Shortener Addon in action. This feature is included with ScrapeBox, and is also compatible with our Automator Plugin.